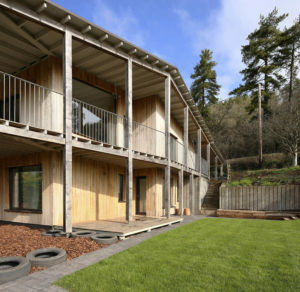 A large bespoke two storey dwelling positioned on an elevated site giving impressive views across Somerset. 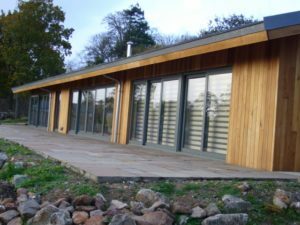 The external wall panels were constructed using a twin 140mm & 89mm frame sheathed externally with panelvent. Floors were formed using 65x195mm visual grade softwood joists with 15mm Soundbloc overlaid with a 22mm peel clean chipboard floor deck. The roof was constructed using 356mm deep timber ‘I’ joists with panelvent above. The inside envelope is lined with 15mm OSB, all joints taped to form a fully sealed unit. 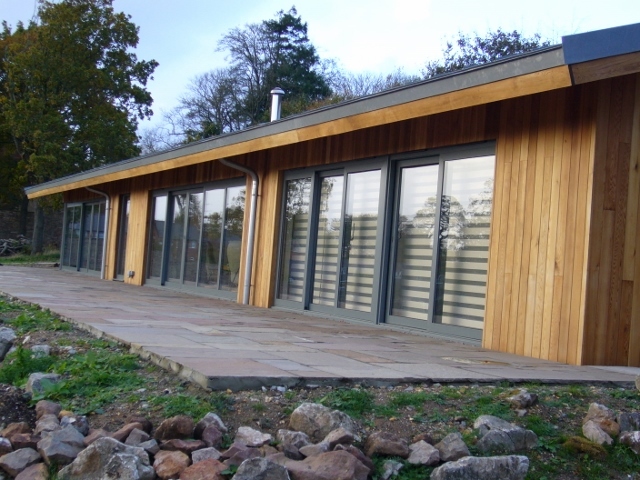 The external terrace posts, beams and decking are constructed using oak supported on bespoke stainless steel shoes. The end result is stunning, this home has been nominated for numerous awards including Grands Design House of the Year 2015. For further photos please see our blog or click here to follow the link to the Architect/owners website. A large bespoke single storey dwelling set within a beautifully landscaped plot. The external wall panels were constructed using a 184mm frame. The roof was constructed using a combination of pre-fabricated trusses and loose cut rafters. The 302mm deep timber rafters were used to create large open plan fully vaulted areas. Careful consideration was given with the detailing to create hidden gutters were appropriate giving the clean external finish requested by the home owner. 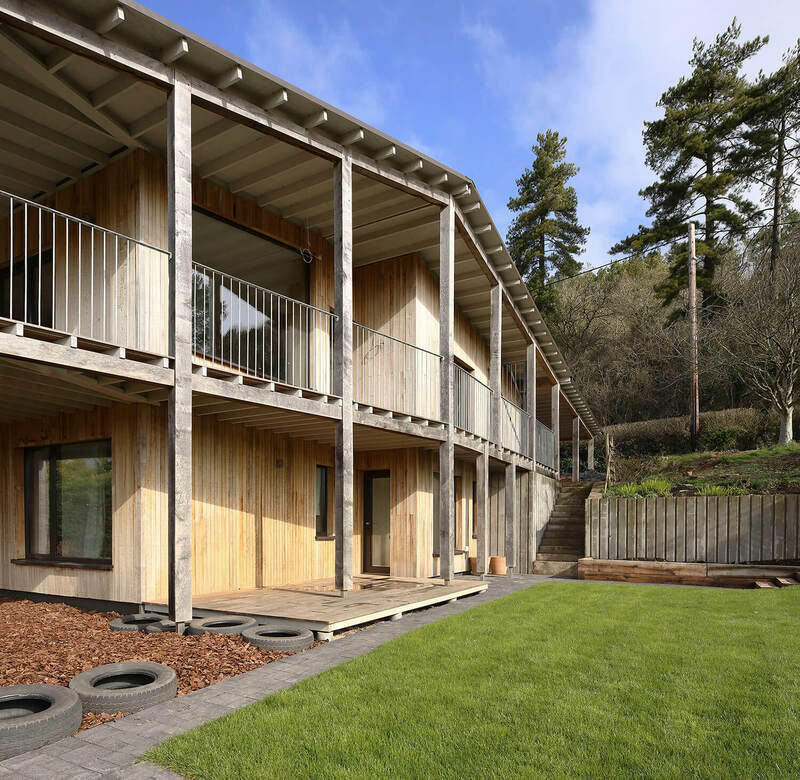 This home was a proud finalist in the LABC Building Excellence Awards 2016.